Experience the oldest way to see the Everglades with Everglades Adventure Tours, the first and only company to offer private, guided Everglades eco tours by pole boat. Pole boats have been used for centuries by the Native Indian tribes and Gladesmen culture to hunt, fish and navigate the shallow marshes of the Florida Everglades. 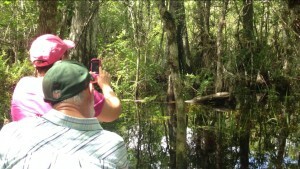 Relax as you experience Florida culture and Eco Tourism at its’ finest with our authentic swamp safaris. Explore the backcountry of the Everglades National Park and the Western Everglades Big Cypress National Preserve region with our naturalist skiffer guides. Our stable pole boats have elevated, cushioned seats to ensure a comfortable ride with a picture-perfect view. Everglades Adventure Tours’ private safaris and Everglades eco tours can offer amazing opportunities to view elusive wildlife within the cypress swamps, grasslands and sub-tropical mangrove jungles. This gondola-like tour offers a private, world-class Everglades experience. By providing you with a unique and enjoyable experience, we hope to be the highlight of your vacation while at the same time creating an appreciation and awareness of the importance of preserving our natural resources. All of our Eco tours Everglades City strive to be as environmentally conscious as possible adhering to International Ecotourism Society guidelines and principles. 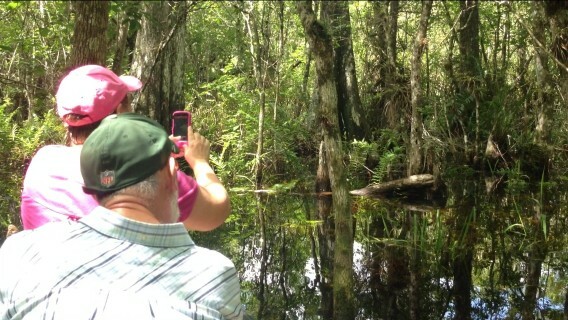 Our Everglades eco tours depart by reservation throughout the day, 7 days a week. Our first tour runs between 7:00-9:00 AM and our last tour is scheduled at 4:00 PM. conditions and water levels within the preserve.